Stroke is time sensitive and evidence shows rapid conveyance to a Hyper Acute Stroke Unit (HASU) for specialist care improves patient outcomes. A centralised acute care pathway, where patients go to a HASU rather than their local stroke unit has been found to be the most effective model for ensuring equality of access 24/7, seven days a week in a region. Following hyper acute care, patients are transferred to their local unit for rehabilitation or discharged home with community support. This model requires collaborative working and may result in closure of stroke units. 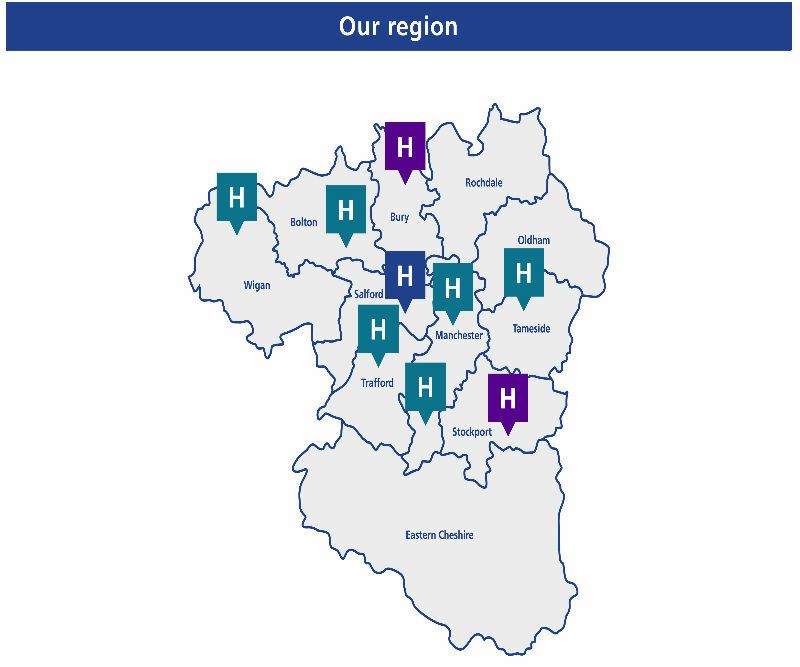 In 2008, Greater Manchester formed a partnership to re-organise hospital stroke services, initially led by the Clinical Network and latterly by an Operational Delivery Network. Re-design occurred in two cycles; firstly services were partially centralised in 2008-2010 to increase access to thrombolysis and hyperacute care, with full centralisation in 2015 providing equal access to HASUs for all. Many critical success factors have resulted in the best hospital stroke care in the country, with improvements driven by effective change management facilitated by networks. The successes of the re-design programme are now being replicated elsewhere, with other regions benefiting from the experiences of Greater Manchester. The region is keen to help others learn so that centralised pathways for stroke and other specialties can be implemented more quickly and easily across the UK. The region has collaborated successfully over the last decade resulting in the highest rated hospital pathway in the country. These improvements have occurred against a back drop of increasing challenge in the NHS, especially in acute medicine. By working together across different care settings that include ambulance, hospital, community and primary care, teams have ensured a more seamless patient journey that provides the highest quality of care, whilst being as efficient as possible and making best use of limited resources. Close working with commissioners has ensured standardisation and equality of access for all residents, with work now focused on improving the community pathway in a similar way. The collaboration established in 2008 has been nurtured which has ensured stakeholders remain invested in improving the care pathway for stroke. A bottom up approach has encouraged stakeholders to work together, activating the “system” and empowering them to take ownership.Strong clinical leadership supported by network management has also been critical and continues to ensure stroke has a high profile locally. Change must be sustained. Winning hearts and minds through promotion of a clear vision, effective engagement and communication, and empowering stakeholders to take ownership of change has been key in sustaining improvement in services.